I have always wanted to sew more and bring out my inner craftiness. I also want to use that sewing machine my mother bought me last year but finding the time is hard at the moment. 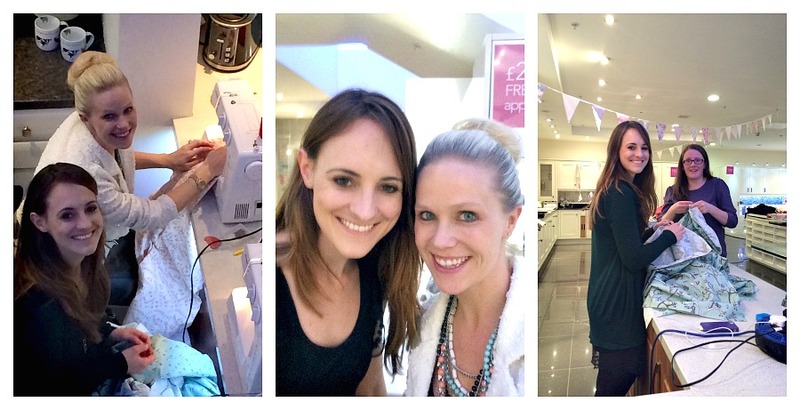 I was ever so excited to be invited to the Betta Living sewing event last night at the Trafford Centre, Manchester. It was a different kind of event than I have ever attended and I really enjoyed myself from the moment I got there. We were greeted with an amazing display of food. 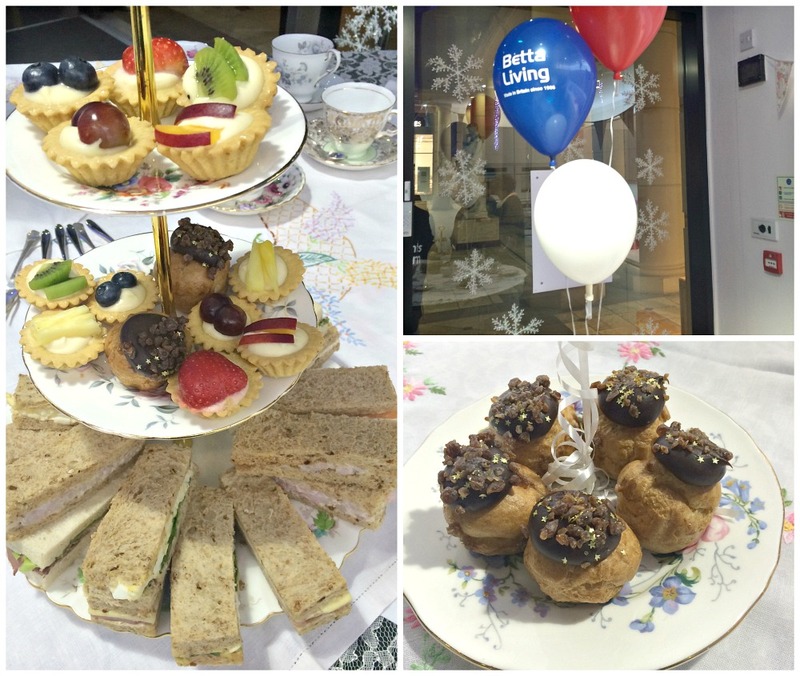 I had just had dinner but there is always more room for scrumptious nibbles and what’s an event without being greeted with a little bubbly too! I may have even vouched that a second glass would help my sewing. (any excuse I know). 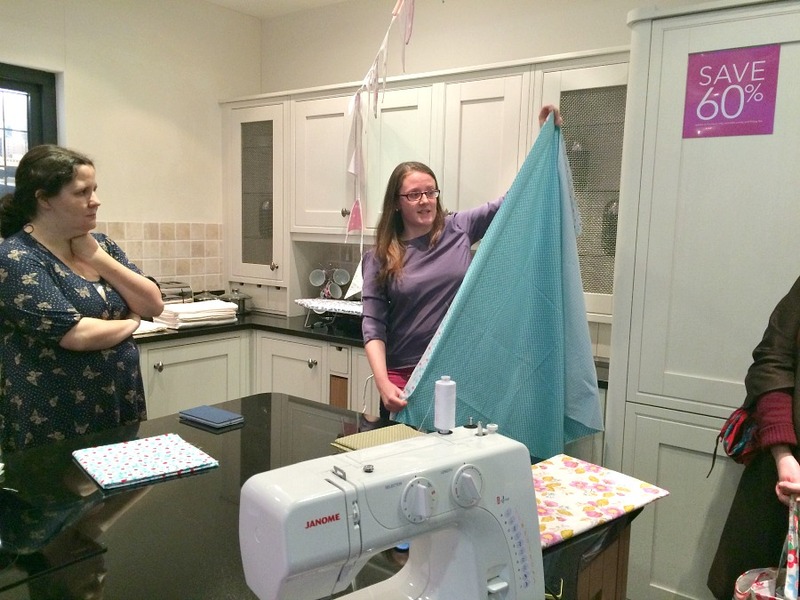 We had a brilliant teacher, Sam from Love Me Sew to give us a little tutorial on what we would be doing and then guide us every step of the way. I have to say I bet she slept good last night. She was the ultimate multi-tasker EVER. The entire team did a brilliant job in helping iron, pin and assist where assistance was needed. We first started out by picking sizes of duvet covers and fabrics we were sent off to our individual stations to get to work. 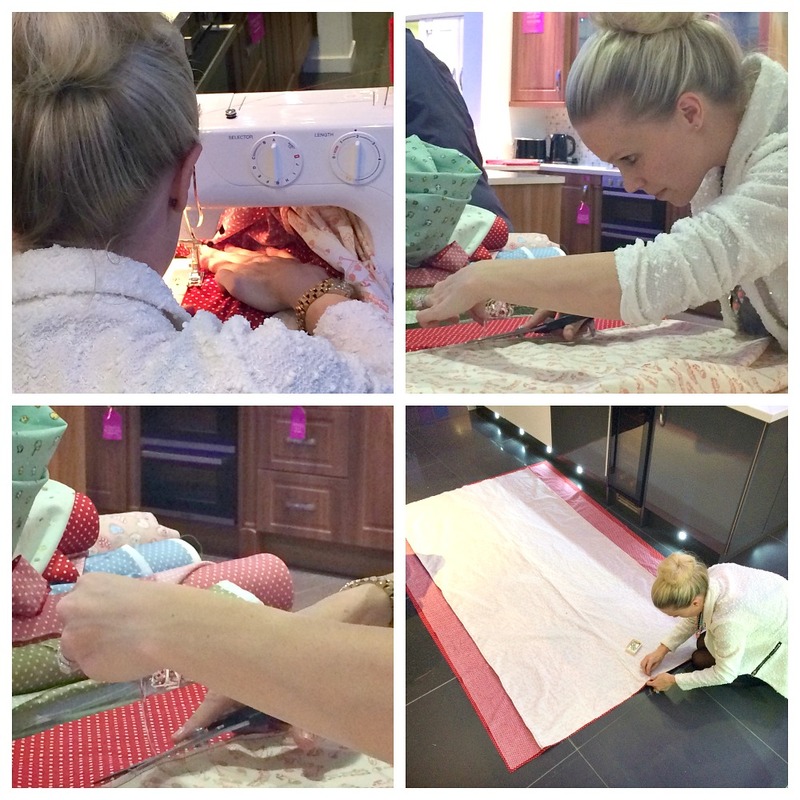 There was a lot of work involved but it was so much fun learning more about sewing, and laughing with the other bloggers along the way. 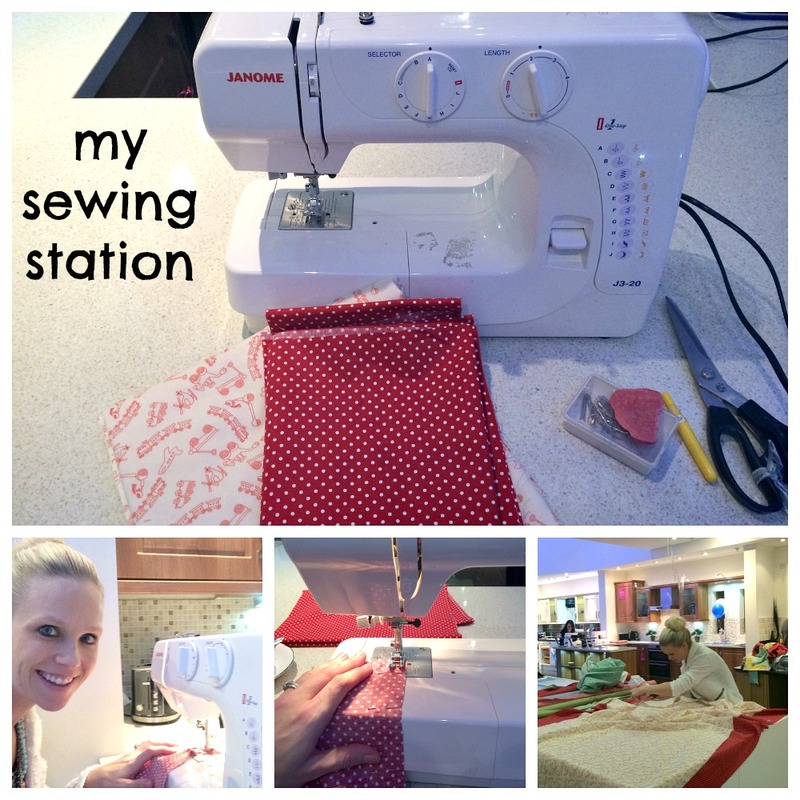 Here I am getting to be friends with my station and sewing machine. My Momma would be so proud of me. Thanks to her I knew a little of what I was supposed to be doing. (a little). Practice makes perfect right, well I definitely got a lot of practice in last night making my duvet cover and matching pillow case. 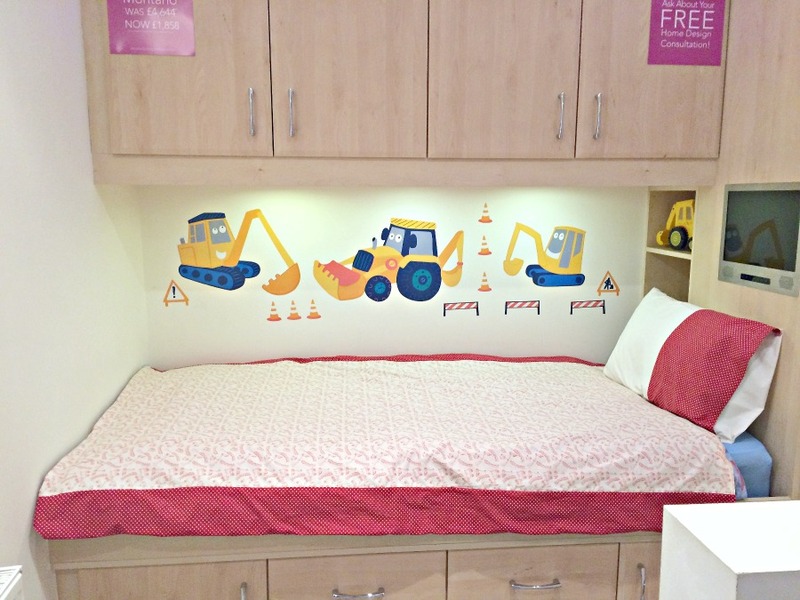 It was only a small group of bloggers for this event but you could tell massive preparation and hard work went in to give us six bloggers our own stations and work areas along with making our very own duvets. They choose a great selection of fabrics for us too! Big events can get overwhelming sometimes and it was great to experience a small close group for this event. 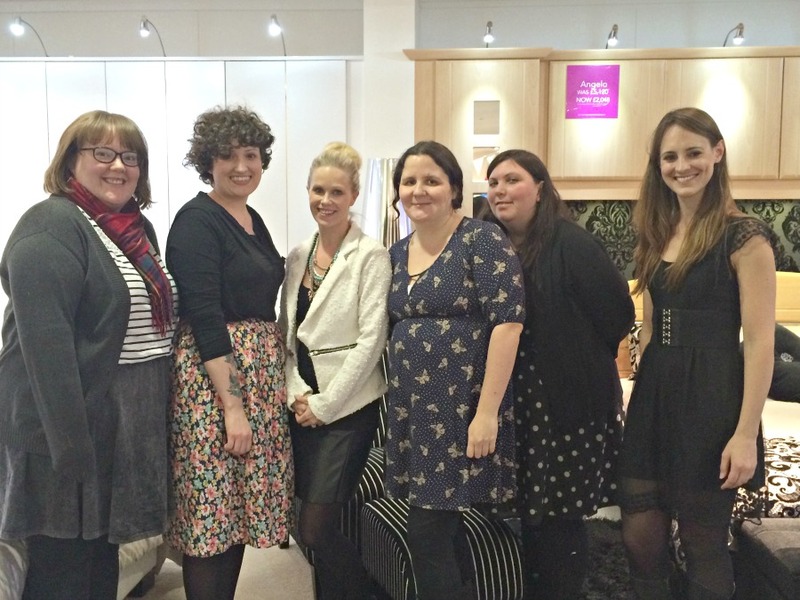 Each table was set for two and it was a great opportunity to get to know my new sewing buddy, Gemma. We had a good laugh while we tried to not sew sideways and rip out too much along the way. That’s another reason I love these events so much making new friends as well as experiencing new things. Some bloggers I had already met at precious events so it was nice to see familiar faces as well. I took my sewing seriously though, I tried to remember what’s steps we took and how we did them as I really would like to make Missy Moo one too. It’s only fair. I do find sewing therapeutic, I only wish I had more time to practice and make pretty things for people. I think there is nothing more special then homemade things. I can believe we got to make an entire duvet cover and matching pillow in one night. I never thought that would be possible. Even better to take it away and put it up in our own homes to display our handy work. 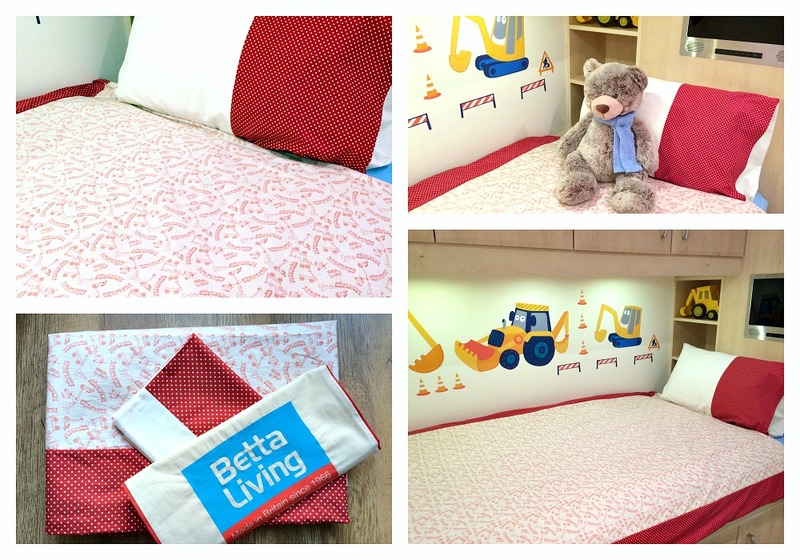 I took advantage of being in the fabulous Betta Living store known for their amazing fitted bedrooms to display my new handmade bedding on one of their show beds. I thought the fabric complimented the diggers nicely with trucks and trains on it. I can’t wait until Buba’s new bed gets here and I can display it in his own room soon. What do you think of my creation? You could do this with any fabric choice too. Who wants to pay for expensive duvet covers when you can make them yourself? I don’t know about you but my kids duvets get weathered fast, this is a great way to theme a room and make a spare if you need it. I made the mistake of buying a duvet cover to match the theme of a room and now it’s tatty and they don’t sell it anymore. It would be great for those that really want Christmas bedding but don’t want to fork out an arm and leg for bedding you use once a year! I can’t thank the team enough for a great evening of learning, making new friends, and a good time! Wow and well done you, it looks fabulous! I’ve never made duvet covers but I have very fond memories of the ones my Mum made when I was little so we’d have matching bunk beds – red white and blue in the way only the eighties could pull off! Me too. My lines are always sideways. And my seams never line up right. Hahaha Need lots more practice. It was great event. Wow this looks like such a fab event, I could really do with getting my sewing machine out of the loft! Its definitley motivated me to get it out for sure. Bless ya, I am no pro. Needed a coach for sure during it. Fabric can be costly always keep an eye out for sales. If you do a simple one like I did you can’t mess it up babes. lol Thanks for popping by!